Love the crochet projects found in this episode? 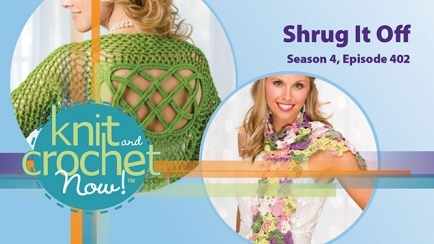 Find the yarn, hooks and supplies that you need to complete the Kerry Shrug crochet pattern. With a few simple clicks, you can easily order these supplies from the comfort of your home.